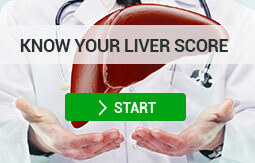 Did you know that fatty liver disease is one of the most common types of liver disease in the United States? In addition, the main cause of fatty liver disease is obesity. Practicing a healthy lifestyle and healthy diet is the best prevention of obesity. So how can you lose weight in a healthy way? Read our article to find out. 5 tips to lose weight? Harvard Medical School suggests that as many as 1 in 5 American adults have some form of fatty liver disease, of which the primary cause is obesity. Excess fat puts extra strain on all your internal organs, including the liver, causing it to work extra hard and less efficiently. Abdominal fat, or belly fat, leads to insulin resistance (cells do not respond to the hormone insulin, thus blood sugar levels increase) which can cause a host of other health issues including diabetes, heart disease, cirrhosis, and fatty liver disease. If you are overweight, losing weight is essential for liver health and overall health. To find out if you are classified as “overweight” consult the National Heart, Blood, and Lung Institute’s Body Mass Index calculator. Simply enter your height and weight to receive a score indicating underweight, normal, overweight, or obese. Scores above “normal” generally suggest that individuals should lose weight in order to reach ideal health and reduce their risk of disease. Do not forget to consult your physician to get a professional opinion. Amsety has introduced the first nutrition bar including the Super 16 Vitamin & Mineral Mix®. Amsety Bars were created specifically to meet the dietary requirements of individuals with liver conditions and support liver health. Fruits and vegetables provide a multitude of unique vitamins and minerals in combinations that can’t be found in any other food or pills. Have a salad for lunch, or as a side, and choose fruit for dessert and with your breakfast. High fiber foods keep you feeling full for longer and stabilize blood sugar levels. A low fiber diet increases the risk of high levels of toxins remaining in the body instead of being filtered out by the liver. Choose wholesome, sugar-free fibrous options like whole wheat bread, oatmeal, lentils, beans, brown rice, and corn. 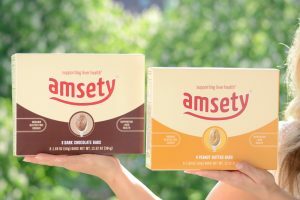 For a quick and tasty on the go snack with no refined sugars, try Amsety Bars. Eliminating sugar from your diet may be the most significant factor for your weight loss. Sugar adds a lot of unwanted calories into your diet, and foods containing sugar are also usually high in saturated fat. A pastry that you might eat mindlessly with coffee can contain 500 calories – the same as approximately two bowls of vegetarian chili, for comparison. Avoid refined sugar by choosing natural, unprocessed foods. Amsety Bars also are a great refined sugar-free option. Check out our video with Sandi Star, Clinical Nutritionist and Holistic Practitioner at Karmic Health, explaining the dangers of refined sugars here. Cooking at home allows you to know exactly what’s in your food and cut out the added oil and sugar that’s often found in fast food and meals prepared in restaurants. In fact, it has been proven that eating together may increase happiness It’s easier to make healthy choices when you choose your own wholesome ingredients. Try some new liver-healthy recipes here. Pairing exercise with a healthy diet is the most effective to lose weight and keep it off. 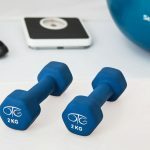 Exercise not only burns calories, it also strengthens your muscles, improves your mood, decreases the risk of developing many types of diseases, and increases longevity. 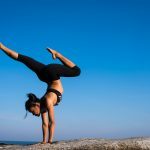 According to CDC, 150 minutes of moderate to intense aerobic activity per week significantly decreases the chances of premature death. If you’re not used to exercising, work up to it slowly by walking and biking.